Teaching Communication to "Non- Verbal" Children - I Love ABA! Many individuals with Autism can have impairments or difficulties with functional communication. Sometimes this is due to medical conditions, such as tongue abnormalities or Apraxia. Or it can be due to severe deficits in the areas of motivation, typical language development, and social interaction skills. Speech delays can also be linked with excessive ear infections, which can lead to hearing loss or impair speech processing during times of critical brain development. The majority of the children I have worked with were non- vocal when I first met them. This means they did not consistently communicate vocally. Maybe they had some babble, or would say a few word approximations, but they were unable to reliably communicate their wants and needs to other people. I intentionally used the word "non- verbal" in the title of this post, because communication is not just words. A child can be "verbal" and communicate using PECS, sign language, an iPad device, etc. But if I say a child is "vocal", I am specifically saying they can communicate with words or they can talk. Non- verbal individuals often communicate by pointing, leading, or the majority of the time: through their behavior. I have observed quite a few clients who without saying a word had an entire household catering to their every desire. The parents knew that 2 screams meant “turn the TV on”, a crying fit meant “pick me up”, pushing a sibling meant “I don’t want to play”, and so on. The goal when working with individuals who have communication difficulties should be broader than just expressive language.....the child may never gain vocal speech. That doesn't mean they can't ever learn to Communicate. The goal should be teaching the child a functional, effective, system of communication. If I teach a 5 year old to label colors and body parts but she can't tell me when she is hungry, that's a good example of a child who can talk but isn't using language to communicate. From my experiences, positive indicators for developing vocal communication include vocal sterotypy (particularly with various intonations and pitches), frequent babble or echolalia, and demonstrating social awareness or alertness (e.g. child stares intently at your face when you sing to them). A young child who will echo, sing wordless songs, or babble, often can be quite successful with intensive language intervention. The behavioral piece of communication is HUGE. It can't be stated enough: Children who cannot communicate have some of the most persistent and challenging problem behaviors. Why? Well, just imagine that you are placed in an environment where no one speaks your language. If you speak English, everyone else speaks French. Now imagine that you are hungry and must convince these people to feed you. How long would you try pointing and gesturing, before you started pushing people and throwing things? If a child lacks motivation to communicate, and isn’t externally required to communicate, then from the child’s perspective its much easier to engage in behaviors. A child who is allowed to fling their plate to the floor during dinner to signify “I'm done” has zero incentive to think up words, form them with their lips, and then speak. Reinforcement is also huge. For a child with Autism to learn to communicate, reinforcement must be present. You might be wondering, “Why do I have to reinforce my child to talk? My other children just started talking, they didn’t require M&M’s to do so”. A characteristic of Autistic Disorder is qualitative impairments in communication. This can mean the child has no language, exhibits speech delays, or lacks motivation to use the language they do have. Verbal Behavior Approach (ABA) – There are many different ways to do ABA, and VB is a branch on the ABA therapy tree. VB has a functional language focus. VB captures and builds upon motivation, and uses rewards to reinforce communication across verbal operants (requesting, labeling, echoics, etc). Language is taught as a behavior and each component is broken down. If the child likes ice cream, one of the first things they learn to say is “ice cream”. This way, the child’s motivation to get a desired item is used to pull language out of the child: You say ice cream, you get ice cream. The VB approach also uses repetition, prompting, and shaping to get desired responses. Initially, “buh” is acceptable to request the ball. Over time (and with careful data analysis), the criteria become more demanding until the child can say “BALL”. For a detailed description of VB, see my Verbal Behavior post. Speech Therapy- For every 10 clients I see, probably 6 are also receiving speech therapy. Many parents think that ST is the only way to get a non-vocal child talking. SLP's often work with conditions such as stuttering, language impairment, feeding/swallowing, etc. (for more information see www.asha.org). 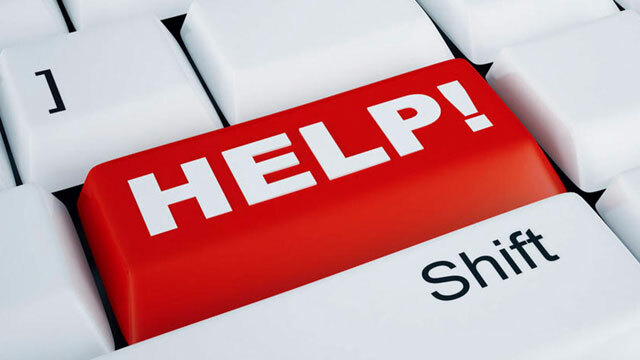 I have worked with kids who made huge gains from ST, and I have also worked with kids who did not, even after months and months of ST. Its important as a consumer to pursue speech and language professionals who have experience with Autism and behavior management. I have certain clients who lost their speech services due to behavior issues. Its also important to look at the intensity of services being offered. Many of my clients who get speech therapy only receive 15-45 minute therapy sessions once per week. For a child with Autism presenting with significant behaviors and no consistent means to communicate, that may not be enough therapy. If your child is currently receiving speech therapy and experiencing success and making great progress, I highly suggest encouraging collaboration between the ABA team and the SLP. Its so important that we all collaborate with each other and train the parents/caregivers on what we are doing! 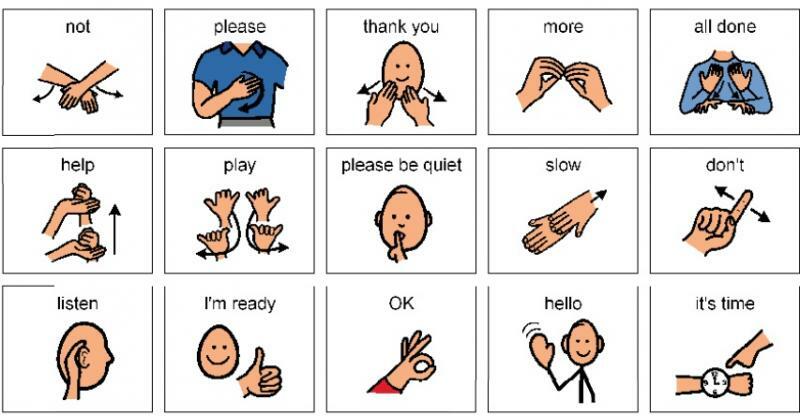 Sign Language- Always combine labeling with sign language so the child hears the correct word, as well as learns the sign. 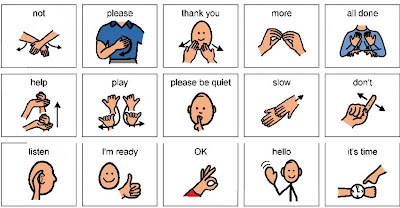 When considering sign language you want to think about the child’s age and fine motor skills. 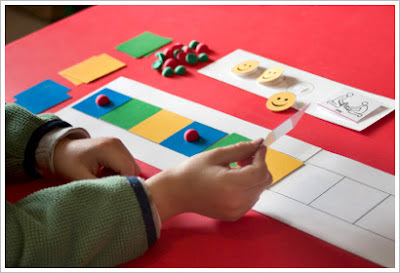 If a child has poor fine motor abilities and cannot make multiple, intricate signs to communicate then sign language may not be a good choice (although you can always teach approximations to signs). Age is important because you want to think about how big that child’s world is. If the child is only 2 and spends all day at home with Mom or Dad, then sign language is probably a good choice. However if the child is 11 and goes to school, after school care, karate practice, and then home, then all of the people the child has regular contact with must know the child’s signs. If the child walks up to a teacher on the playground and signs for her “red notebook”, will the teacher understand? If the child doesn’t get a prompt response to their sign language, they may stop signing. Also a very common error I see with clients who have learned ASL is getting stuck on the sign "more". Many professionals and parents teach the child to sign "more", and unfortunately the sign then gets generalized. The child will randomly walk up to people and sign for more, and no one knows what they want. More of what?? Imagine how frustrating this must be to the child. Its best to begin teaching signs with simple, clear mands that are highly preferred by the child ("book", "chips", "juice", etc), also be sure to avoid teaching signs that are very topographically similar when first starting out. Picture Communication Systems- This would include the PECS system, touching or pointing to photos to communicate, or use of an electronic picture system such as the iPad app Proloquo2Go. The child learns to communicate by exchanging, touching, or pointing to photos of items, activities, individuals, etc. Systems such as these can be ideal for an individual who can match picture to sample, or demonstrates the ability to scan and select. Other advantages to these systems is that they are simple to use (and for others to understand), can be transported across environments, and can eventually be very elaborate. Disadvantages of picture systems can include: difficult to keep up with all the various photos/pictures, and the child's interests change so frequently it may require changing the cards very often. There are also assisted communication devices that will create speech for the individual by speaking in a simulated voice (which is often programmable). The learner inserts a card, or types/pushes a button and the machine speaks for them. Since these are technological devices the cognitive level of the learner should be considered (do they have the muscle control to push or swipe? do they understand the 2D photo connects to a 3D item or activity?). Language Immersion- This is a method typically seen in preschools or daycares that accept very young children with special needs. The classroom immerses the children in language throughout the day with the intention of creating a stimulating environment conducive to speech. Items are clearly labeled with photos and words, children are engaged in conversation even if they cant talk (“David, is my coat blue? Nod if my coat is blue”), and the teachers spend time working 1:1 with each child on turntaking, eye contact, and joint attention. To me, these classrooms look similar to the Koegel method, or Pivotal Response Training. Often these types of techniques are implemented by early childhood education teachers, or parents. An advantage of language immersion, or focusing on pivotal skills to enhance communication, is this method can be easy for a parent to implement with their own child. These types of techniques focus on developmental milestones leading to first words, such as babbling, recognizing distinct sounds, imitating actions, responding to receptive commands, and communicating using gestures. Working with the child 1:1 will include lots of intrinsic rewards, and naturally occurring interactions. For example: treat the child’s babble as if they are words, and carry on a conversation with them. Narrate your actions and the child's actions, even if the child doesn't respond to you ("We're walking upstairs now. Lets count the stairs: 1,2,3,4....."). While you are narrating try to make eye contact with the child, build upon shared interests, have an animated facial expression, and make learning fun. The wide array of programs, books, resources, and clinics out there that promise to get children with Autism to talk can be very intimidating and confusing for consumers. Be a critical consumer and look for research proven methods that clearly explain how the treatment works, and what is involved. Ask lots of questions! If you have to buy the treatment or purchase a book before anyone will explain exactly how it works, be suspicious. No matter which option you select to teach communication, in order for it to be effective and consistent across settings and people you will likely need to incorporate behavior management. The child must learn that anything less than the communication system will no longer be accepted. That means if you are teaching the child to use sign language to request a cookie, then they are no longer allowed to climb up onto the kitchen counter and get the box of cookies off the top of the refrigerator. Make communicating with you a requirement, or the child won't do it. The child must also learn that communicating with people leads to good things. If they just learned to request “juice”, then initially every time the child says juice they should get a sip of juice. The child needs to see that communicating with people promptly gets needs and wants met. If you have implemented a system of communication for a child with Autism and the results are inconsistent, ask yourself: “Is this communication system the only way he/she can get this need or want met?” If the answer is no, that may be why you aren't seeing progress. **Quick Tip: Early intervention is critical when it comes to targeting speech production and development. You want to start working with the child from a very young age to ensure the best results. However, research shows that all hope is not lost for older individuals with Autism who have no consistent system of communication. It may be more challenging for an older child to learn to talk, but it is not impossible. The most promising methods for children over the age of 5 include speech generating devices (which do not inhibit language) and developmental approaches that facilitate joint attention. Kaiser, A. P., Hancock, T. B., & Nietfeld, J. P. (2000). The effects of parent-implemented enhanced milieu teaching on the social communication of children who have autism. Journal of Early Education and Development [Special Issue], 11(4), 423-446. Kasari, C., Paparella, T, Freeman, S.N., & Jahromi, L (2008). Language outcome in autism: Randomized comparison of joint attention and play interventions. Journal of Consulting and Clinical Psychology, 76, 125-137. Murphy SA. (2005) An Experimental Design for the Development of Adaptive Treatment Strategies. Statistics in Medicine. 24:1455-1481. Pickett, E., Pullara, O, O’Grady, J., & Gordon, B. (2009). Speech acquisition in older nonverbal individuals with autism: A review of features, methods and prognosis. Cognitive Behavior Neurology, 22 1-21. Schlosser, RW, & Wendt O (2008). Effects of augmentative and alternative communication intervention on speech production in children with autism: A systematic review. American Journal of Speech-Language Pathology • Vol. 17 • 212–230. This is an amazing resource for a parent like me. Thank you so much. So glad the blog is helpful for you! This blog is awesome! 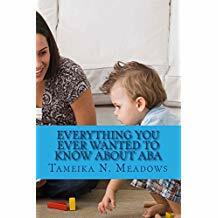 I am a brand new ABA and soon to graduate with a dual bachelor's degree in elementary and special education. I really want to have the most postive Impact I can! Thanks for checking the blog out! What about going beyond requesting? Too often it seems kids get stuck on requesting, when real communication is so much more. A typical PECS book has the communication value of a restaurant menu - imagine trying to hold a conversation like that! Even rejection (communicating what you don't want) tends to get neglected, even though most autistic kids are probably as interested or more in rejection as in requesting. And rejection can be so powerful for preventing behavior problems. Rather than having a meltdown, they can just tell someone to stop doing what's bothering them. 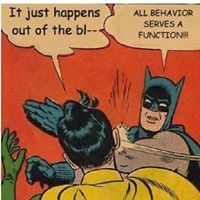 This is absolutely true, and why beyond teaching simple one word mands quality intervention should go on to teach manding for attention, manding for removal of aversive events/situations, manding for actions/locations, manding for information, etc. I am an SLP and your positions/ideas were SPOT on. I wish more ABA therapists would work closely with SLP's! As far as that goes I wish ALL therapists would work together to coordinate therapy ideas/progress/goals. Our 'little ones' would surely benefit! Thanks for all your information. Can you please letus know when we can determine that the child is non-verbal and then move to ipad or PECS? I'm not sure I understand your question, but are you saying how to determine the most effective mode to teach communication (vocal/PECS/sign, etc)? If so, that is an individualized decision that will differ from one learner to the next, depending on how the learner currently communicates, what skills are already in their repertoire, the preferences of the caregivers/family, etc. There are many variables that are considered, and the analysis of that information would yield a decision.